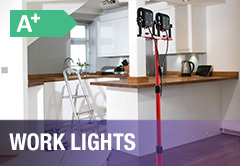 A range of circular bulkheads with microwave detection and emergency lighting options. 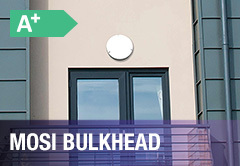 A range of circular and square bulkheads with emergency lighting options available. 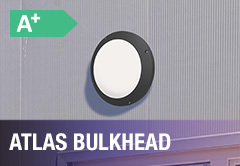 A die-cast bulkhead, ideal for security lighting and as an alternative to traditional HID bulkheads. 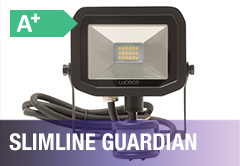 Maintenance free floodlights with an aluminium body and a rubber insulated cable. 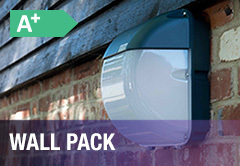 A range of domestic floodlights, maintenance free and prewired with 100% instant light output. 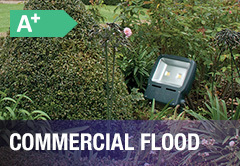 A range of portable flood lights, available in mains voltage or rechargable versions. 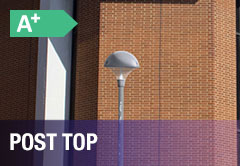 Contemporary post top lanterns with no upwards leaking light. 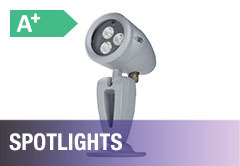 Low glare options available. 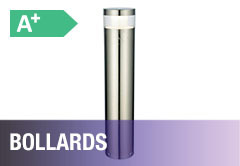 Robust die-cast contruction with toughened glass lens, can be rotated to illuminate the desired area. 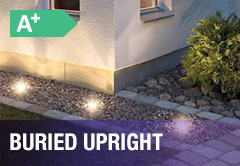 Upright spotlights designed to be fitted flush with the ground to accentuate architectural features. 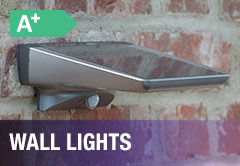 A large selection of sylish lighting solutions designed to be wall mounted. 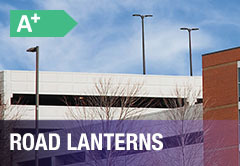 Free standing LED luminares, ideal for lighting paved areas and walkways. 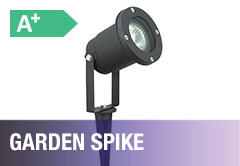 Aluminium spot light with tempered glass diffuser, designed for GU10 LED lamps. 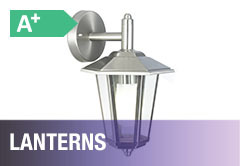 Wall mounted stainless steel lanterns ideal for lighting up exterior living areas such as patios.